For the novice designer, the end product of a well-built business website can seem like a daunting goal to achieve. Take heart. Website design is easy. Fine tuning your website’s design is the more specific step to conquer. 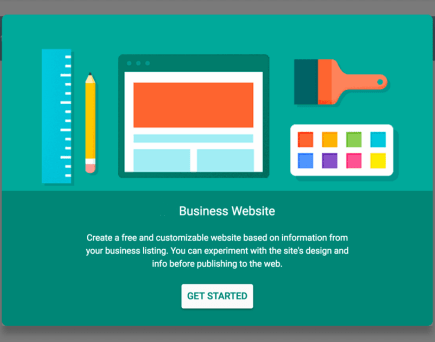 Take a moment to simplify the process a bit, and educate yourself on a few helpful hints towards building a stellar business website. Read through five must-have features, and see how your own design compares. You have to create a way for visitors to move around your website. Without tools for navigation, your content is just a bunch of individual pages with nothing linking them as a whole. The navigation option ties it all together. The best way to incorporate navigation into your website’s design is in the form of a stationary navigation bar. Check out this website’s navigation options. Typically seen along the top or side of a website, the navigation bar provides a simple way to move throughout the content of your pages. Communication is a vital aspect of a successful business website. In addition to the standard “Contact Us” page, there are other ways of enticing visitors to share their thoughts. A simple “call to action” button is a great way to grab the attention of passing web users. Place phone numbers and contact forms in strategic locations, but incorporate the call to action for maximum effect. It should be known that there is no room for pixelated images and lagging videos on the internet. People don’t have time for that outdated practice. It is worth the extra effort to obtain high quality images and videos. When your website load quickly and without issue, you will be more likely to stir up a return crowd. Stock photos are cheap, and sometimes access is even free. The mobile web is a very integral part of modern day culture. If you don’t optimize for mobile access, you are effectively cutting out a majority of the users online. Mobile access to the internet is now more popular than that of PCs and laptops. Your business website should take the habits of the many into account when working on design. Look into the use of “media queries” for more direction on mobile optimization. When you integrate social media into your design, you provide a link for your visitors to share all your excellent content with the people in their world. Social media share buttons are keyed into our modern programming. We users can’t help but click those bright, shiny buttons, and they don’t cost a thing to employ.